1 - Hello Sgm Guba! Thank you for this interview! Could you tell us a little about yourself? Hello, thank you. I started training in 1964 at the Doce Pares Headquarters in Cebu, Philippines. I received this tuition from some the great Grandmasters at that time – the late Gm ‘Momoy’ Cañete, Gm Magdalino Nolasco, the late Gm Inting Carin, Gm ‘Loloy’. Sgm Cacoy Cañete and Sgm ‘Diony’ Cañete. The Philippines was and can still be a dangerous place if you were not rich and I was very poor. Weapons are common and I have the marks from knives and bullets still on my body today. I also entered full contact tournaments and was World Champion in several events for a few years years until I retired and became Head Coach at the Doce Pares Headquarters. I then travelled and conducted seminars in New Zealand, United States and throughout Europe until 1996 when I left the Philippines and moved to the England and now live in London. I promoted the Doce Pares Style in the UK until 2010 when I started to promote my own style of Doce Pares called Guba Doce Pares. This style is now taught in over 27 countries around the World. 2 - You were sparring partner from Sgm Cacoy. How was that experience? 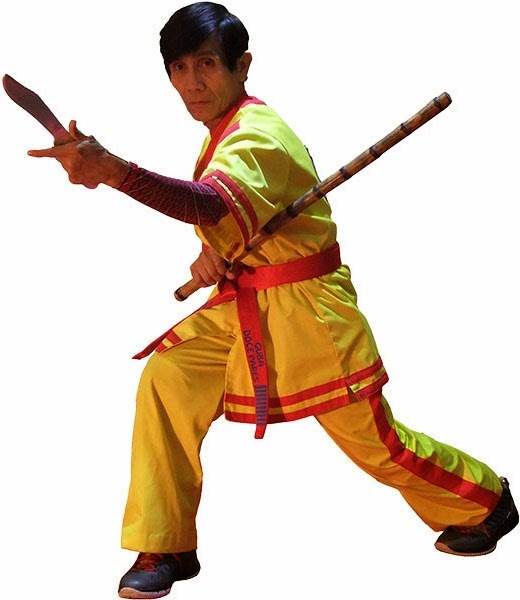 The teaching of Cacoy is very different , I remember he just threw the stick down on the ground and I pick it up and started to work out with him. I never forget the first technique he hit me in the chest and dragged the puño of his stick down my sternum it was very painful. Second technique he hold my thumb as he disarm me it really hurt. Next technique he throw me with his eskrido, more pain. I will never forget that. Then we spar in Manila in 1992 he disarm me four or five times, all I do is pickup the stick and he just disarm me again. As we spar I think I accidentally hit him. Then he came at me and I try to stop him, he hit me and tried to puño my face. Then he throw me and I just lie there. That’s what sparring with Cacoy is like. Cacoy is the number one in close quarters and the only way to learn was to spar with him you cannot learn this one without sparring. 3 - Currently you live in the UK, where administers the Guba Doce Pares International. Can you talk about your organization? To be frank and honest Guba Doce Pares is my style the technique is the Doce Pares multi style system from the Grandmasters Magdalino, Diony, Inting, Momoy, Loly and Cacoy, from them I learn and improve myself without these teachers I am nothing. The organisation was created to promote the style Guba Doce Pares and support all the instructors and their students no matter where they are in the world. We are one big family in over 27 countries and expanding. Like all families we work, play, fight and get over it but at the end of the day we stand as one. 4 - What is your opinion about the current scenario of the FMA? When I was in the Philippines it is not practiced by that many people, it is the poor man's art and is one for the fighters. When I left and moved to England I was exposed to what people were doing around the world outside the Philippines. I was surprised how many people trained in my home art, I did not expect such a thing. Over the years I have watched it become even more popular and Hollywood put it in the movies as well, I have been truly shocked. So for me I am happy that anyone learns my home art from whoever teaches them. 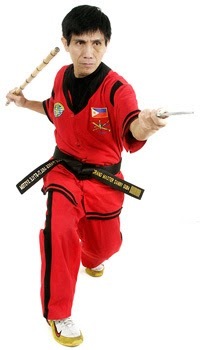 It is important to me that the world sees the Philippines as producers of many great things including our Martial Art. 5 - What are the future plans for the Guba Doce Pares in Brazil and in the world? Guba Doce Pares will continue to grow and expand all over Brazil and I hope in time they start running their own tournaments. 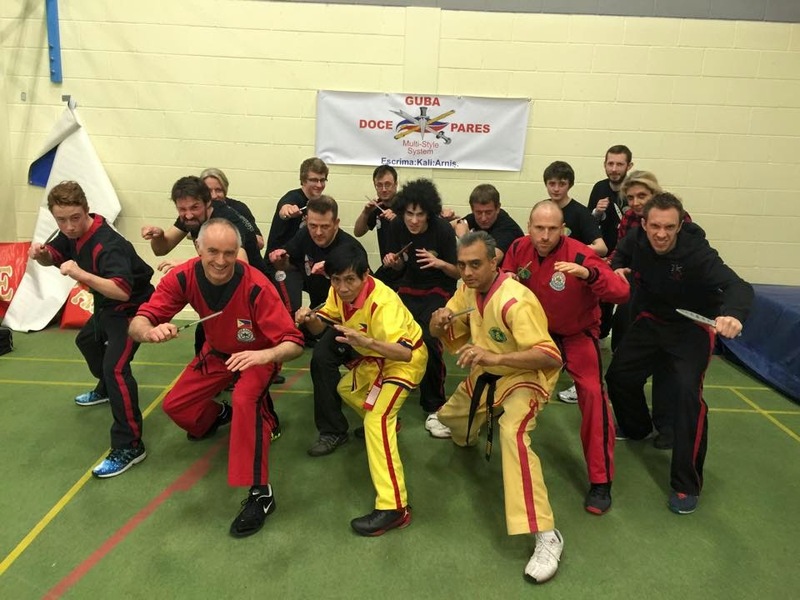 Guba Doce Pares is expanding around the world and again in time I would like to see International tournaments and maybe even an International seminar to bring all the countries together. 6 - What is your opinion on the FMA and Self Defense? 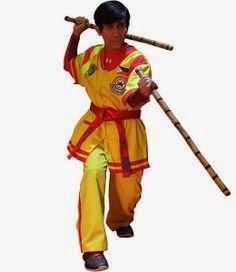 Eskrima (Kali - Arnis) is for fighting. It was never a battlefield art or an educational system for children. 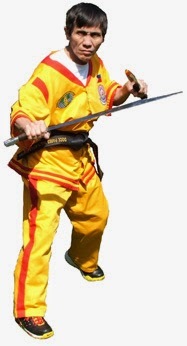 Eskrima comes from the street. It developed mainly on the back streets in Cebu and then across the rest of the Philippines. It has the purpose of helping you win a fight as quickly as possible and with as little injury as possible. So it is a bit like asking if this pen is good for writing, the answer is of course, that's what it was designed for. At the same time though it is important to find an art that suits you. That is the beauty of Martial Art, what is good for me might not be good for you and visa versa. 7 - Thank you for your interview, you could send a message to our readers? If you are a Martial Artist be open minded and respectful. There is no new technique its already there. Always remember this “My ego is my enemy and my opponent is my teacher”.